As the leading supplier of personalised school, simply open the below file and click file then save as to keep your own copy. 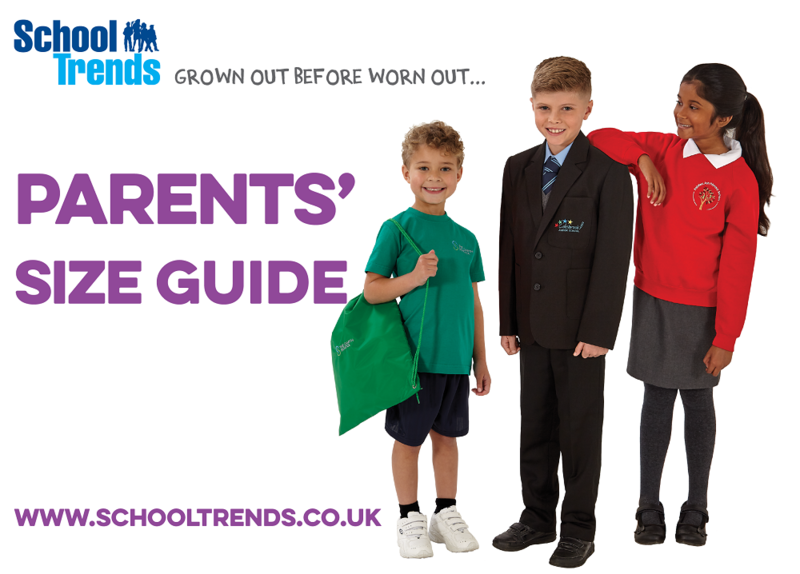 Here at School Trends we want to ensure that you have the perfect school uniform and that you choose the right products for your child. Our parent's guide has been designed to help you select the correct sized garments for your child and also provides you with basic garment care instructions to ensure they last you as long as possible.